Eames Aluminium Lounge Chair designed by Charles and Ray Eames, 1958. 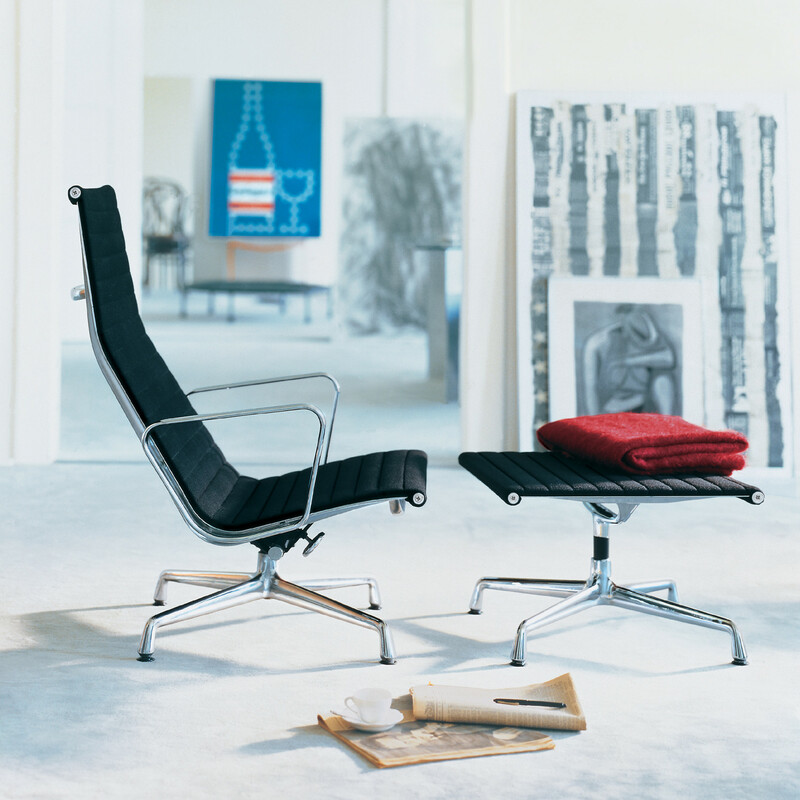 The Eames aluminium armchair is part of the aluminium group and one of the greatest designs of the 20th century. 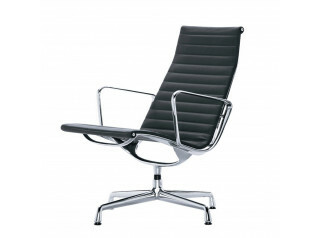 With an intelligent combination of materials this minimalist design icon looks great in homes and in the office. 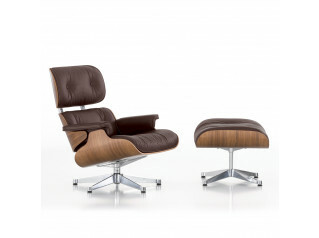 Eames armchairs have a high backrest, head cushion and swivels. Backwards tilt mechanism can be regulated. Upholstery units in Hopsak and leather, sealed by high-frequency induction. 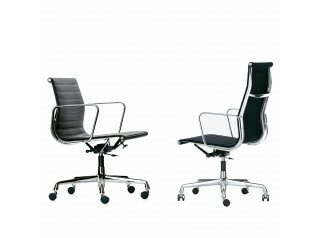 The chair's side profiles, tension bracket, armrests and feet are polished or chromed die-cast aluminium. The chair's four star base with glides for carpets or optionally with glides with felt pads can be selected for hard floors. 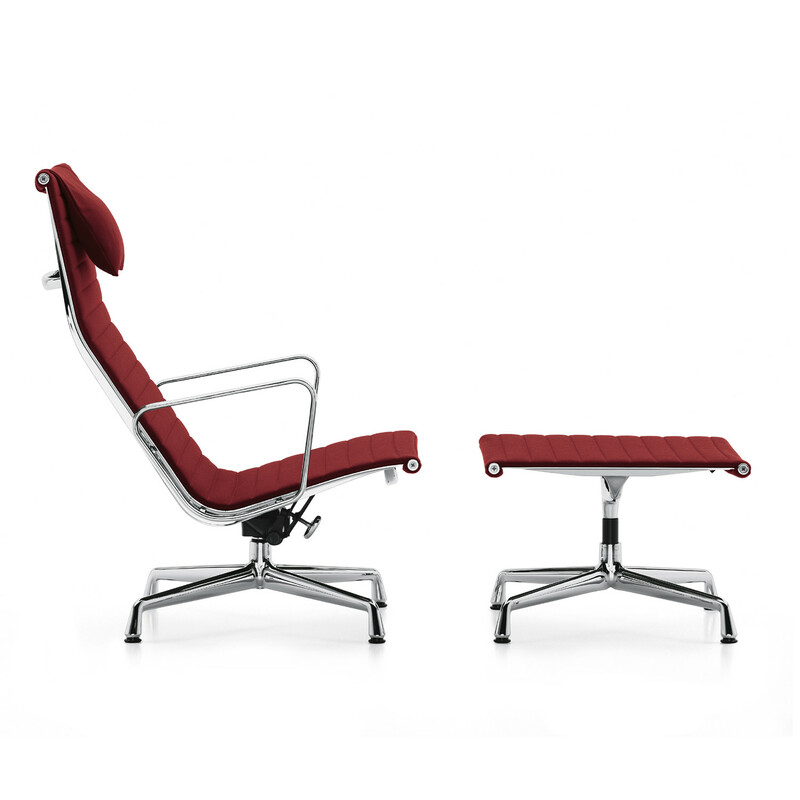 The Eames EA 125 Stool complements the EA 124 Eames Aluminium Armchair, providing a luxurious place to put your feet up. 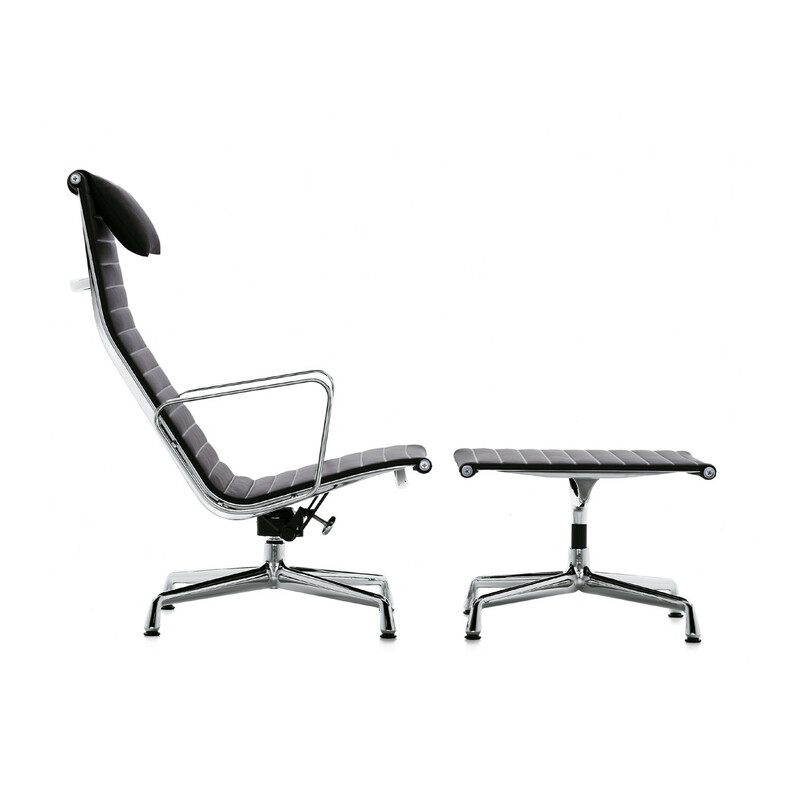 You are requesting a price for the "Eames Aluminium Armchair EA 124"
To create a new project and add "Eames Aluminium Armchair EA 124" to it please click the button below. 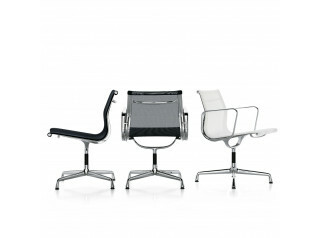 To add "Eames Aluminium Armchair EA 124" to an existing project please select below.